Things are great right now, should I be working towards future business? Hopefully you are at a good place in your business currently. Your busy, life is good, plenty of income coming in. But, what about your future? Should you concentrate on current business and leave marketing alone for the moment? 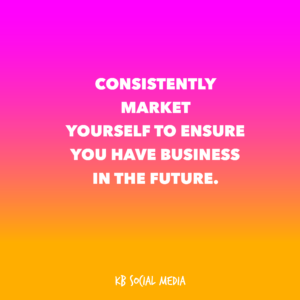 Of course not, you should ALWAYS be marketing yourself and your business. Your networking, marketing and skills you are learning now will benefit you in ways that you can’t imagine. This recently happened to me-At least two years ago, I had a sit down one-on-one with a potential client and his business ideas changed shortly after we met. Recently, his wife recommend me to someone as we have kept somewhat in touch over the years as friends. I had a meeting with her this week and helped her on the right path with her social media. I will be giving her some lessons on Social Media Marketing and maybe even helping run their Social Media as their business grows. The point is you never know what you may be working on for your future and even though our contact thru the years was only as friends and not a potential- she kept me in mind and knows I can bring value to their companies. 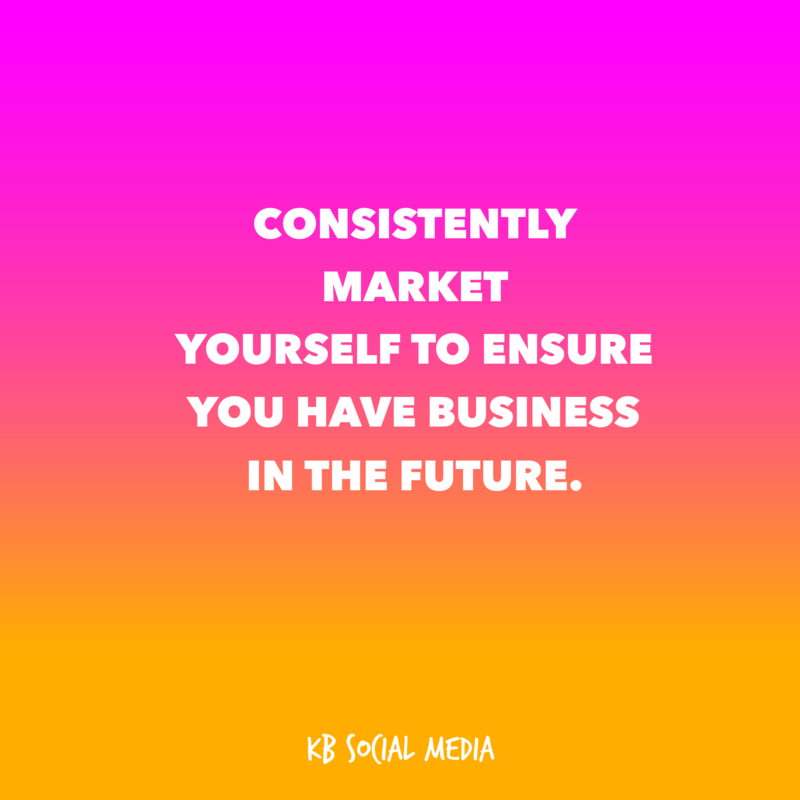 Social Media and Email Marketing are ways that you can be keeping in contacting with potential future clients/customers. Think about it? You’re a Realtor and your client just bought their first house. You did a great job and they are really happy. Promises of future business or referrals are made but life gets busy. They met other Realtors and you forget to reach out. Keeping your name (and your business) in the forefront of any potential client/customers mind is KEY. Remember, they need to be active on the page to see your posts.